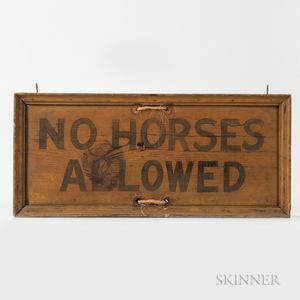 Yellow- and Black-painted "No Horses Allowed" Sign, America, late 19th century, black lettering against a yellow background, applied edge molding, wd. 26 1/4, ht. 11 3/4 in.